Obtain your opulent dreams! Intricately involved patterns add a polished presence to this dream couture coat by Just Cavalli. Zippered front. Two zippered chest pockets. Long sleeves with ribbed cuffs. 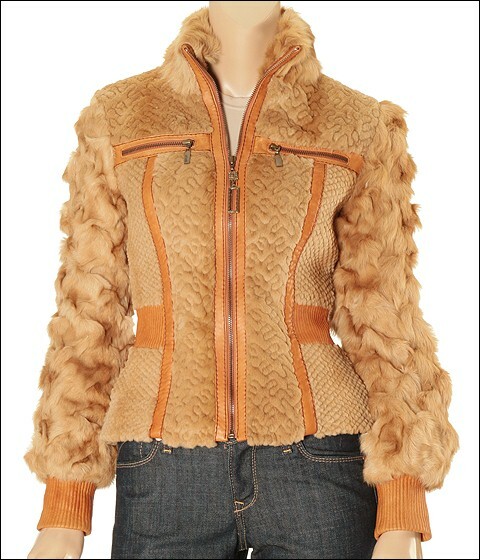 100% shaved rabbit fur with alternate colored 100% leather trim. 100% viscose lining. Dry clean only. Imported.